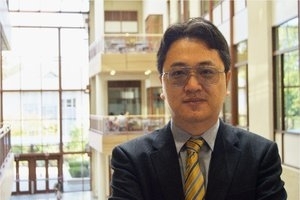 This semester, the School of International Service (SIS) welcomes Assistant Professor Yang Zhang to the faculty. An expert on contentious politics, empire, and political elites in China, we asked Professor Zhang to tell us more about his background, research, and teaching through a Q&A. Tell us a little about yourself, Professor Zhang. I trained as an engineer before studying social sciences. Born to math teachers in an age of industrial mega-projects in China, it is not at all surprising that I chose engineering at Tsinghua University as my major. Ironically, it was also one of these mega-projects that led to my shift in interests. My hometown was affected by one of these projects: Thousands of buildings were removed, hundreds of thousands of people were relocated, and billions of dollars were invested. I hence began to consider issues beyond the project itself, such as rising environmental activism alongside China’s rapid and restless development, and social protests emerging out of the transformation of spatial and political ecologies, among other issues. For this reason and others, I began studying social science. Later, I focused on political science and public policy, and earned an MA at Tsinghua University. My curiosity about the historical origins of our time further inspired me to study comparative historical sociology, and I chose the University of Chicago’s sociology program to pursue my doctoral degree. I very much enjoyed the intellectual life in Hyde Park. It is such a great place—just like SIS—encouraging cross-disciplinary conversations among economists, political scientists, sociologists, anthropologists, historians, geographers, and humanists. What are your areas of expertise? What are your current projects? Comparative historical sociology, contentious politics, and political networks are the three major thematic areas of my research. My current book project examines the emergence and development of large-scale religious and ethnic rebellions in the Qing Empire of China during the mid-19th century, an age when the first singular global inter-state system began to emerge, and an age when missionaries, mercenaries, merchants, maritime pirates, and money circulated around the world. I also study networks of political elites and environmental activism in contemporary China. Employing quantitative, comparative, historical, spatial, and interview methods, all of my projects examine how consequential sociopolitical changes are produced in dynamic interactions among multiple actors. What’s your approach to researching and teaching those issues in China? There is no doubt that China has attracted increasing academic and policy interests. I thus look forward to contributing my substantive knowledge of its social and political changes to SIS. That said, I believe China should be situated in historical, comparative, and connected perspectives rather than being taken as an exception. It is only through a comparative lens that we can understand the significance of China’s historic meritocratic bureaucracy, its state and empire building, its inter-state warring system, its role in the Eurasian trade system before the capitalist world-system existed, and its modern political, social, and economic revolutions. As a result, China should not only be an important empirical ground for testing theories, but also may prove to be a seedbed of novel ideas. This belief is at the heart of my research and teaching in SIS. What excites you about joining American University’s School of International Service? One central theme of my research is the critique of teleology—the idea that everything has been prepared because something eventually happens—but I have to say that joining SIS is like a teleological story for me, given my interdisciplinary training and research approaches. I have also been fascinated by the diverse, multi-disciplinary, and cutting-edge research of my SIS colleagues. The school is full of dynamism under Dean James Goldgeier’s leadership. For our young scholars, this is a great place to learn and grow. Finally, I am amazed by our bright students and their broad visions. I came across an MA student on my very first day in Washington, DC, who shared engaging insights about the wars between Russia/Soviet Union and Japan in China in 1905, the 1930s, and 1945. I look forward to more of these stimulating encounters in the classroom and beyond. Which courses are you teaching? This year I teach Bottom-Up Comparative Politics, Contentious Politics, and Empire. I enjoy teaching these courses because they tackle intriguing topics that lie at the intersection of political sociology and comparative politics. For example, empire has attracted growing interests from academics and policy makers over the last decade. Is empire still alive? Do we need a liberal, hegemonic empire? Why do some countries behave like empires even though they are nation-states? It’s exciting to bring such subjects into the classroom.